step into the spotlight & play along with the superb backing tracks on the specially recorded CD. 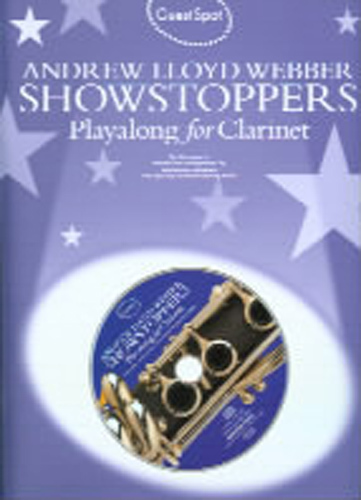 Ten stage hits from Andrew Lloyd Webbers most popular musicals arranged for clarinet by Quentin Thomas. Titles include - As If We Never Said Goodbye, Close Every Door, Dont Cry For Me Argentina, Love Changes Everything, Memory, The Phantom Of The Opera, Pie Jesu, Superstar, Unexpected Song, Whistle Down The Wind.